Virtual Reality might be useful for more than just games. Retailers are using it to increase their sales. With its new Tango-enabled Augmented Reality app, Lowe’s is hoping to give customers a new way to visualize improvements to their home. Using Lowe’s Vision on the Phab2 Pro by Lenova, customers can see how different home furnishings, fixtures, and flooring would look in their actual living rooms, kitchens, and bathrooms. The app may even spare shoppers from wasting time using a tape measurer, thanks to its ability to capture room dimensions and surface measurements. 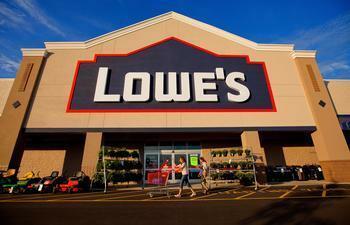 The launch of Lowe’s Vision matches a similar move by the Home Depot over the summer. To its Home Depot Mobile App, the home improvement retailer added an augmented reality feature which works similarly to Lowe’s Vision. In addition to showing consumers what their home would look like decked out in new furnishings, both apps allow shoppers to shop the stores and easily track down products. said Kyle Nel, executive director of Lowe’s Innovation Labs division. As a way to visualize home improvements, Nel believes augmented reality apps could be useful tools for contractors, architects, and designers. The ability to help consumers visualize potential may go a long way toward selling ideas, products, and services. The move toward smartphone retailing comes during a time when shoppers are increasingly using their mobile devices to make purchases. Last year, mobile spending increased by 59% in November and December. And when Valentine’s Day rolled around, customers made most of their last-minute purchases from their smartphones or tablets. It remains to be seen whether or not virtual reality apps will actually boost sales, but Nel can think of no better way to find out than through experimentation. “By testing and rolling out different AR and VR technologies and applications, we have the opportunity to learn how customers engage with these solutions and stay ahead of their rapidly changing expectations and differing needs,” he told MIT Technology Review. Lowe's Vision is now live on the Google Play Store.